Honda Motorcycle and Scooter India recently started delivering the 2018 Honda Gold Wing bike in India. The motorcycle comes with a reverse gear technology and commands a price tag of Rs.26.85 lakh. Honda first revealed the Gold Wing at the 2018 Auto Expo where it became a show-stopper. Honda delivered the first motorcycle to the customer in Jaipur, Rajasthan at an event organized by the company. The motorcycle comes with a staggering price tag of Rs 26.85 lakh ex-showroom, Delhi. The tourer is available exclusively in Candy Ardent Red color. Yadvinder Singh Guleria, Senior Vice President, Sales and Marketing, Honda Motorcycle and Scooter India said, "The 2018 Gold Wing was the showstopper of the Honda Two Wheelers pavilion at the Auto Expo. After receiving an overwhelming response and over 35 bookings, we are pleased to announce the first delivery of the 2018 Gold Wing." The bike comes with a powerful, flat-six engine of 1833cc displacement. This massive engine delivers 93kW of power with 170Nm torque. 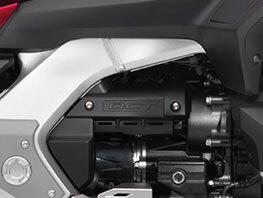 The new engine also comprises of an aluminum cylinder & a shorter, stiffer crank-shaft. The engine mates with a 7-Speed Dual Clutch Transmission (DCT). The 2018 Honda Gold Wing also happens to be the first motorcycle from Honda to get a wishbone type front suspension. The buttons on the handlebar carry out the duty of controlling the gear shifting which lets the DCT function fully automatically. Thus, the bike is able to upshift and downshift on its own. The 2018 Honda Gold Wing also has the Apple CarPlay integration, first on any motorcycle in the world. Apple CarPlay Integration allows iPhone users to connect their smartphones with the Gold Wing. You can access it on the swanky new 7-inch TFT display. 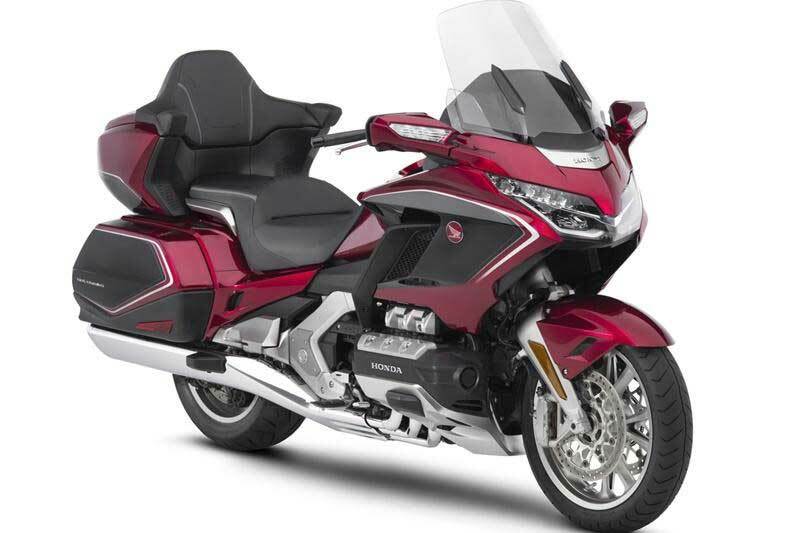 Some other features of 2018 Honda Gold Wing that make it worth buying include an electric windscreen with angle and height adjustment, Smart Key control. The bike also features the Cruise Control thru' the throttle-by-wire (TBW) for ease of riding. 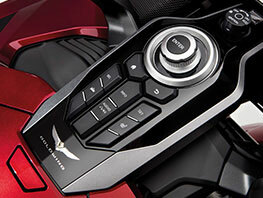 The new Gold Wing gets full LED lighting and auto-canceling indicators which adds to the convenience. The 2018 Honda Gold Wing comes with a premium audio system. In addition to listening to music, a rider can make or answer phone calls without taking off the helmet with the use of a Bluetooth headset. A dedicated port also allows plugging in a USB flash drive. For more information on the 2018 Honda Gold Wing bike, please click here.